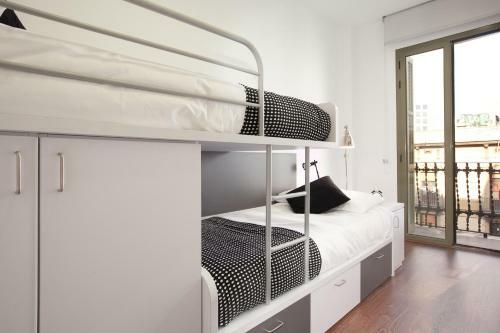 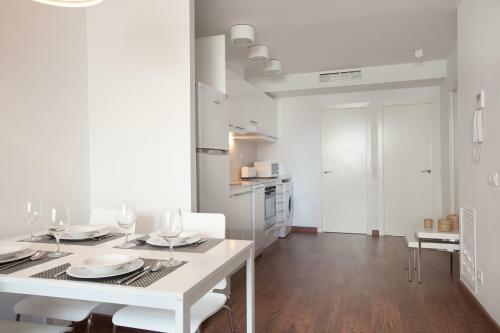 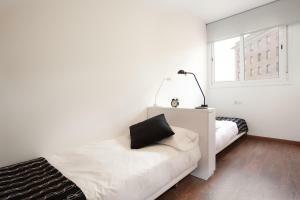 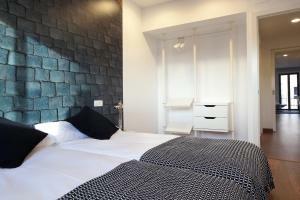 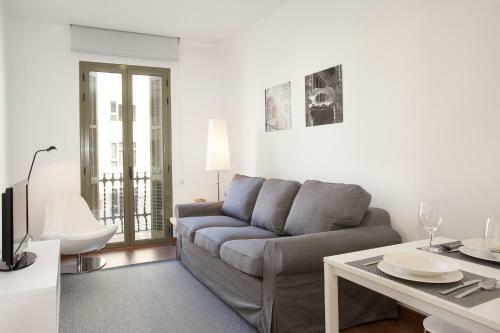 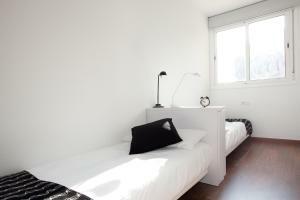 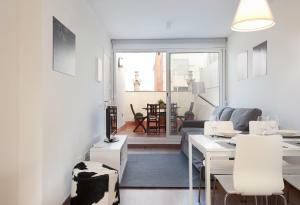 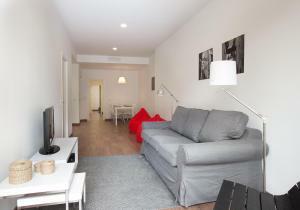 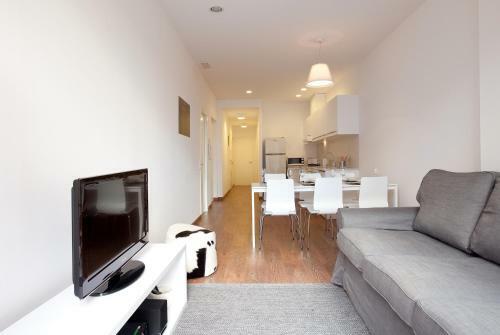 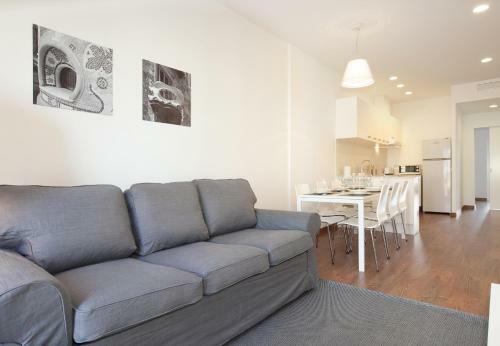 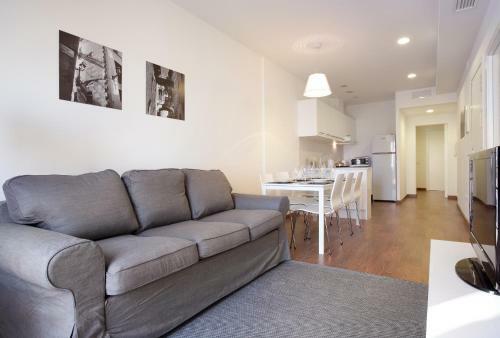 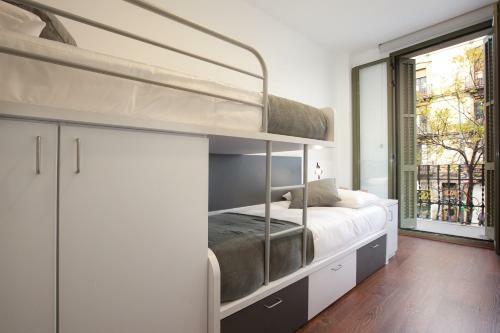 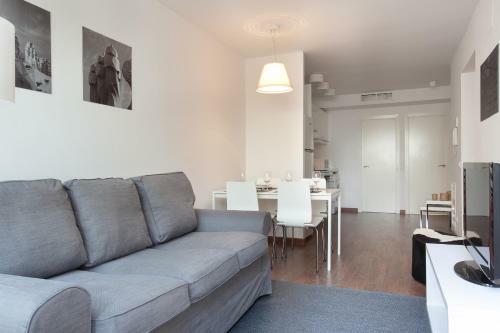 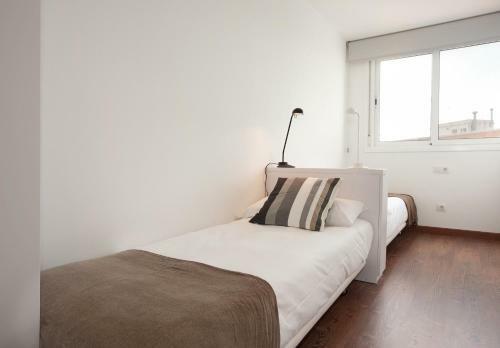 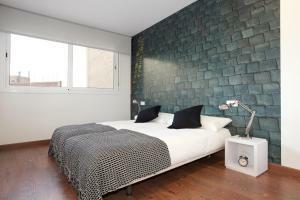 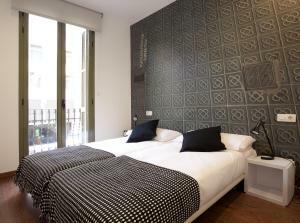 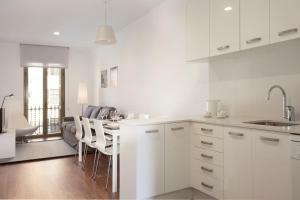 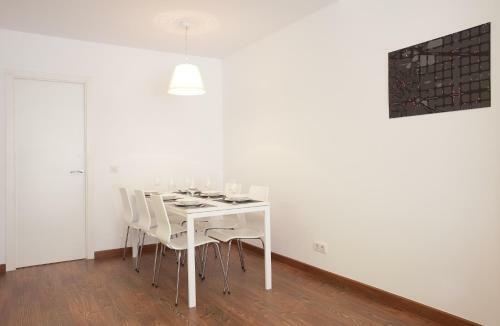 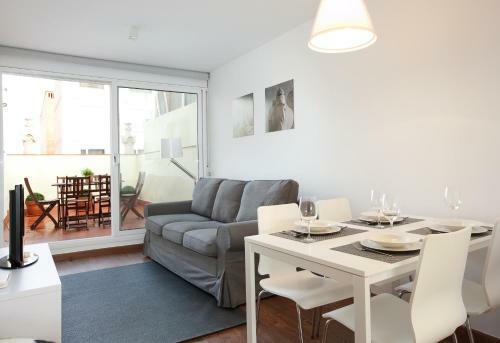 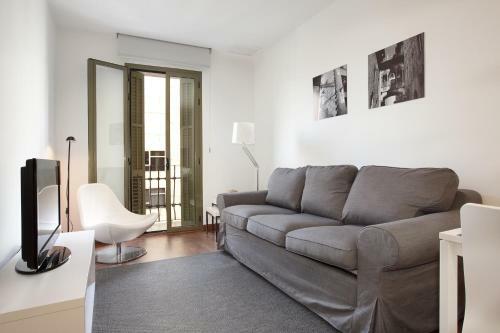 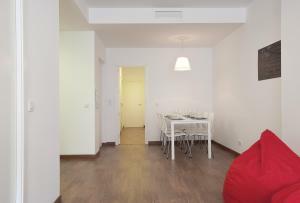 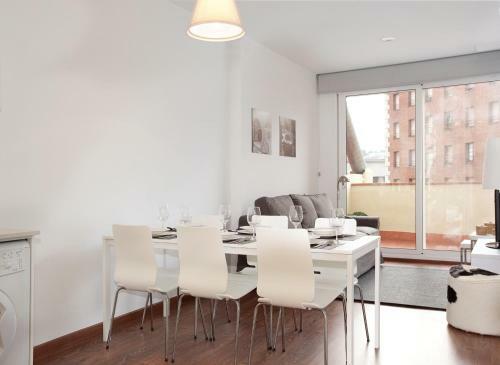 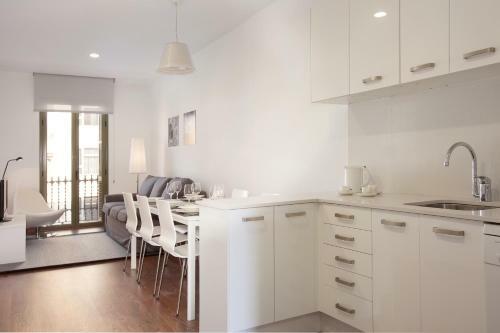 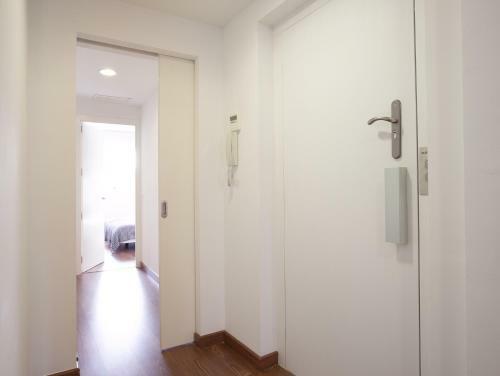 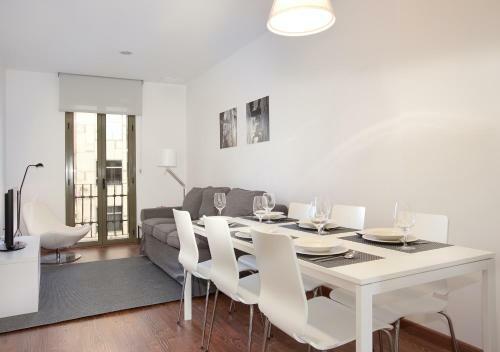 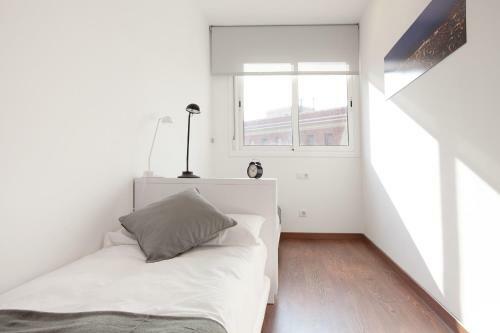 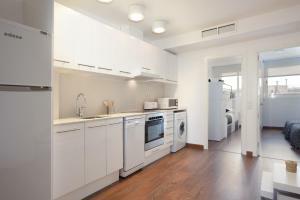 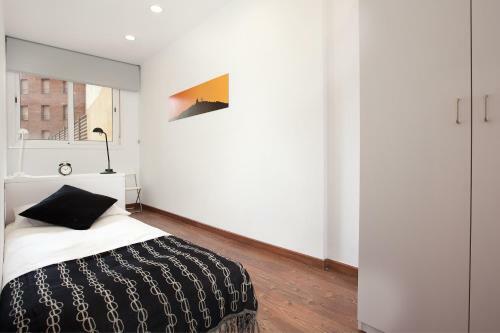 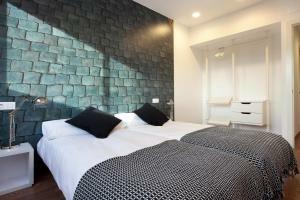 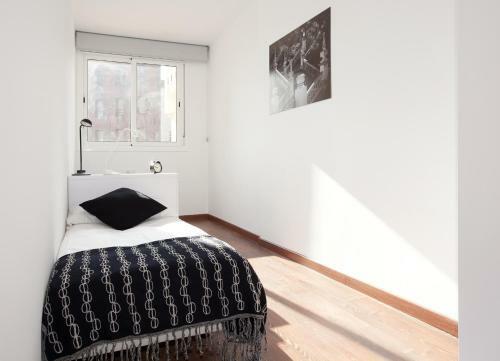 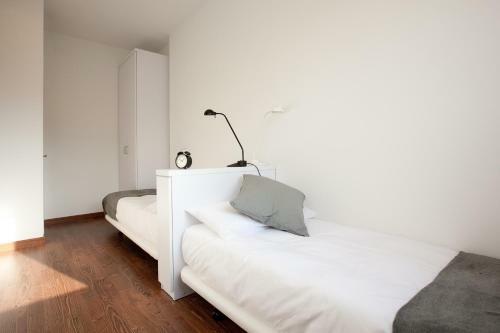 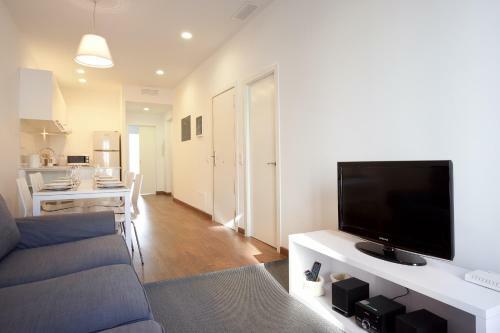 Blackandwhitehome Montjuïc-Fira offers free Wi-Fi and is centrally located next to Barcelona’s Plaza Espanya, with its airport bus stop and FIRA Convention Centre. 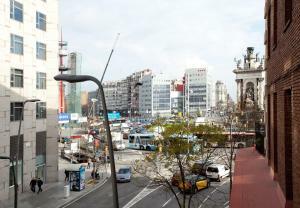 Central Barcelona is 10 minutes away by bus or metro. 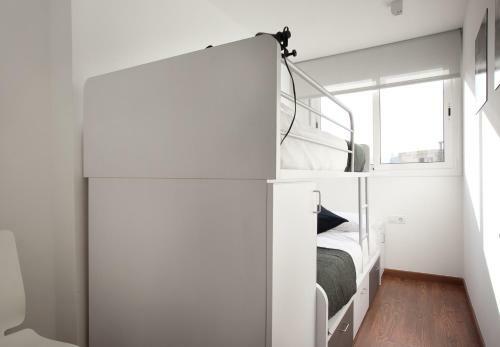 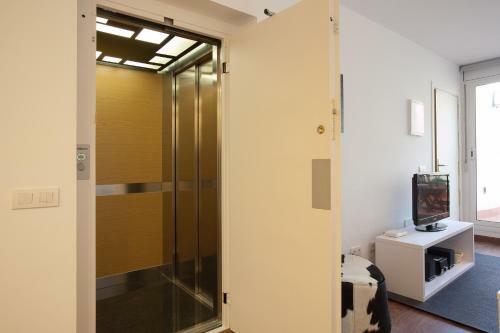 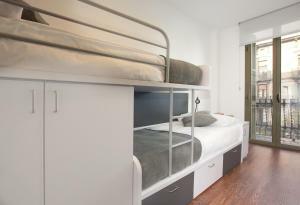 The modern air-conditioned apartments feature a living room with a sofa bed, flat-screen TV and DVD player. 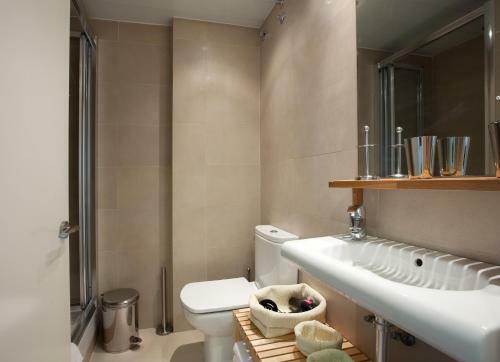 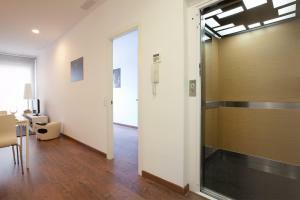 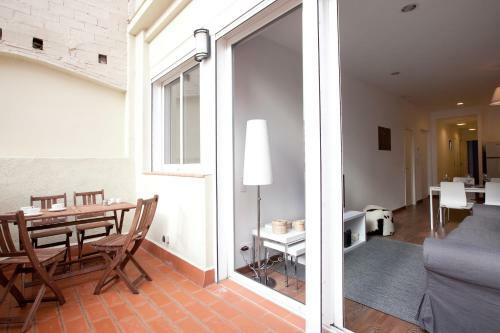 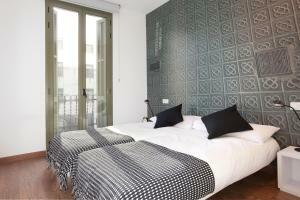 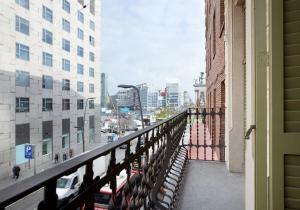 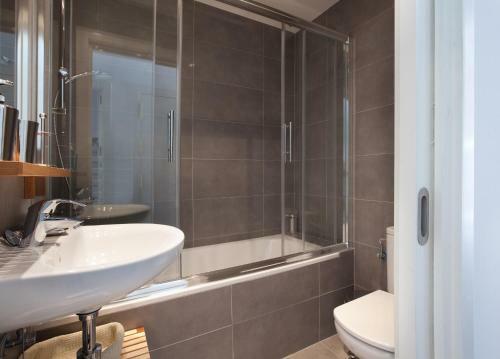 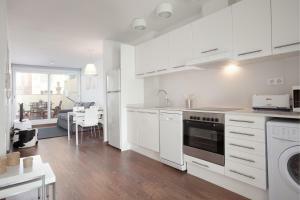 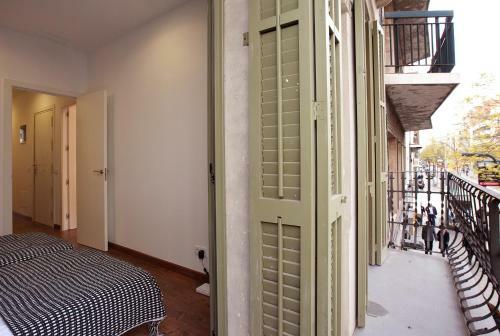 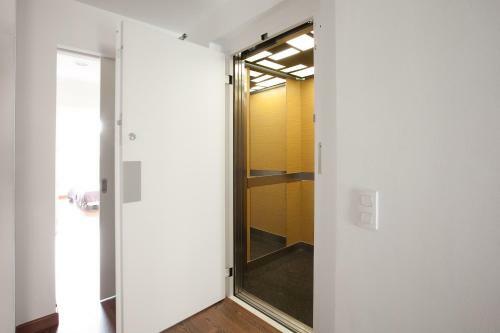 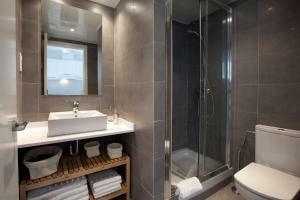 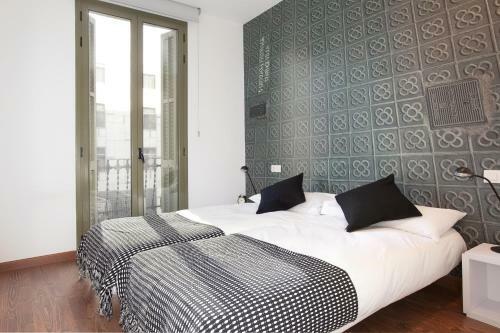 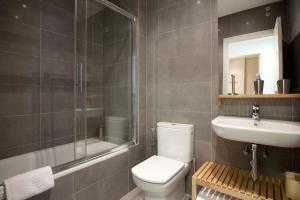 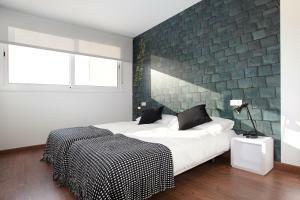 There is a balcony or furnished terrace and private bathroom with a hairdryer. 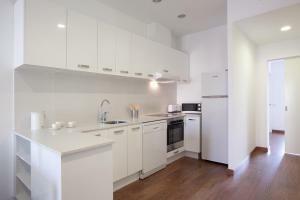 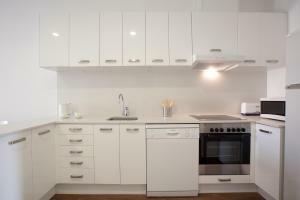 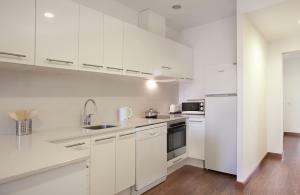 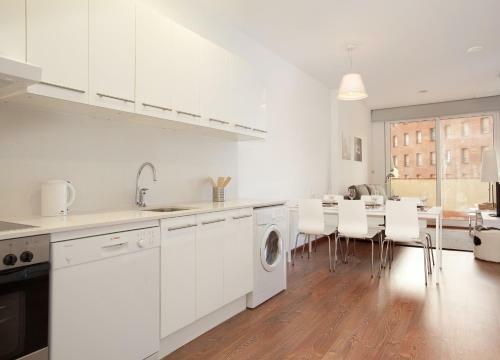 The kitchenette includes a fridge, microwave and washing machine. Various additional services can be booked at the BWH, including guided tours and airport transfers. 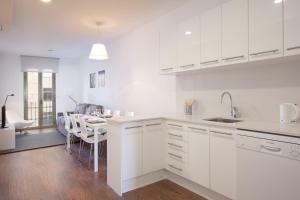 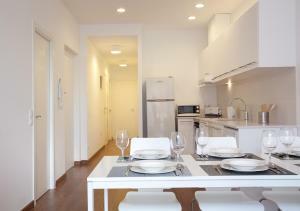 You can also order breakfast, as well as basic and gourmet food packages in your apartment. 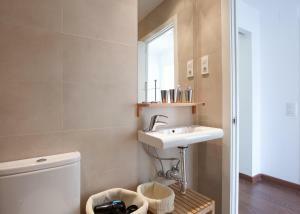 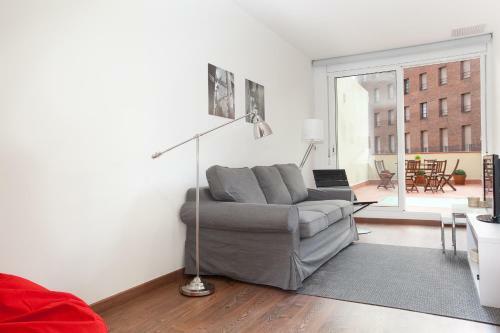 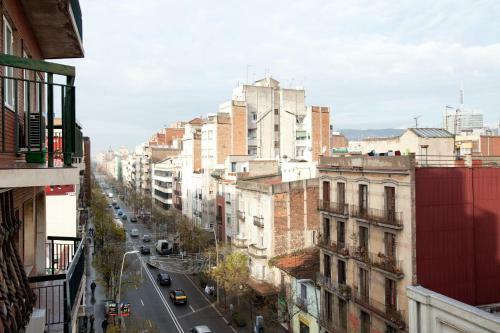 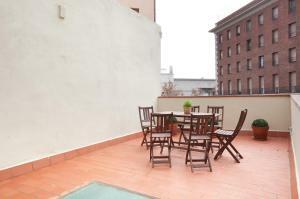 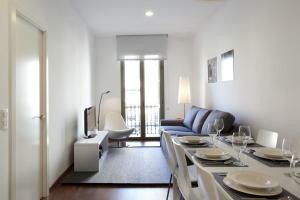 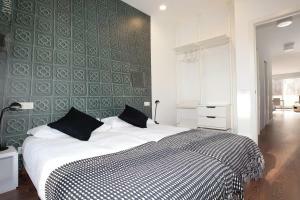 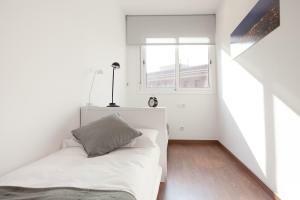 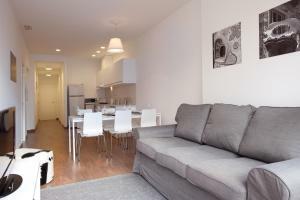 Las Arenas Shopping Centre is 150 metres from the apartments. You will find cafés and restaurants in the surrounding area. 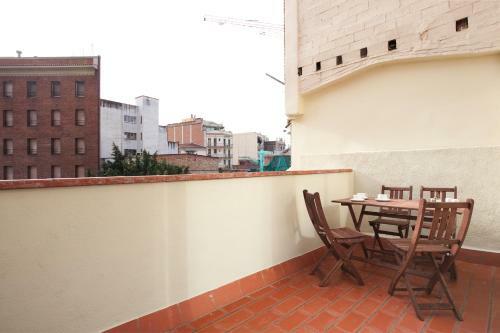 Montjuïc Hill and the Magic Fountain are within a 5-minute walk. Please note that in case of damage to the apartments, guests will be charged € 200. 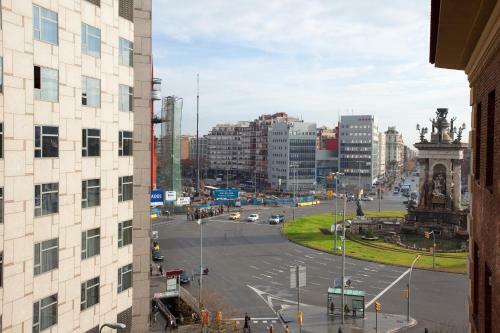 Arrivals between 21:00 and 00:00 are subject to a surcharge of € 30. 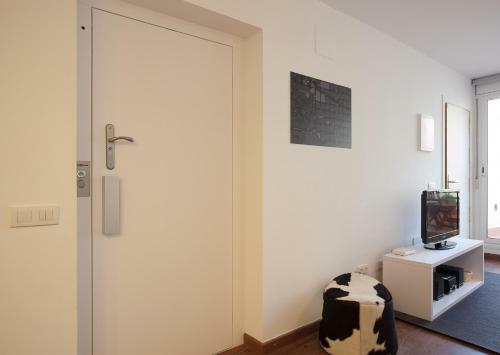 Arrivals between 00:00 and 02:00 are subject to a surcharge of € 40. 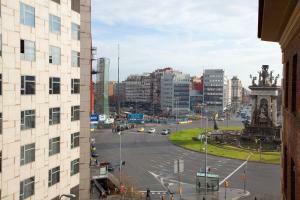 Arrivals between 02:00 and 08:00 are subject to a surcharge of € 50. Early check-in is subject to availability and can only be confirmed 1 day before arrival. 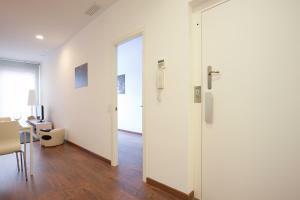 Early check-in between 08:00 and 10:00 has a surcharge of € 30. 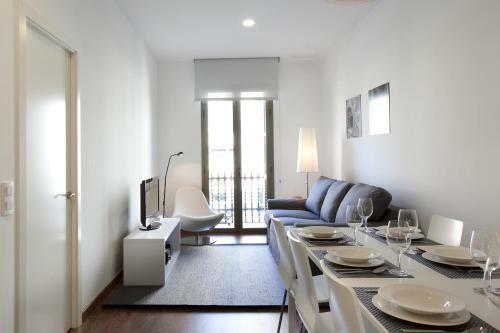 All additional services, including breakfast, food packages, guided tours and airport transfers must be confirmed by the property in advance. 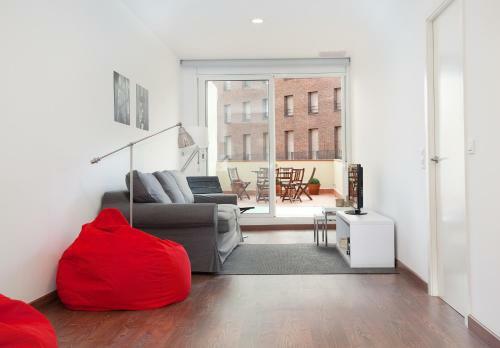 The modern air-conditioned apartments feature a living room with a sofa bed, flat-screen TV and DVD player. 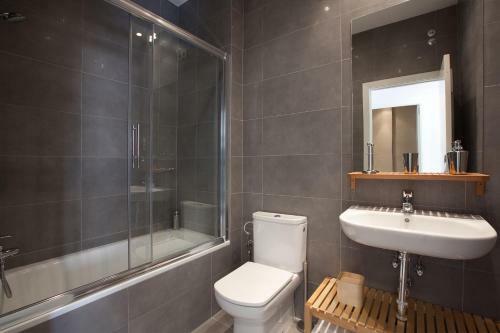 There is a balcony and private bathroom with a hairdryer. 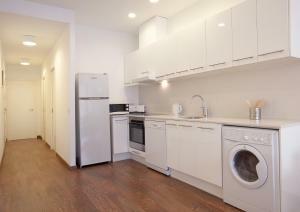 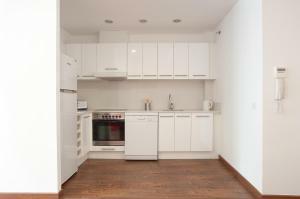 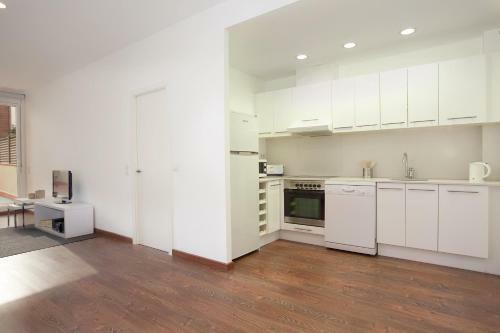 The kitchenette includes a fridge, microwave and washing machine. The modern air-conditioned apartments feature a living room with a sofa bed, flat-screen TV and DVD player. 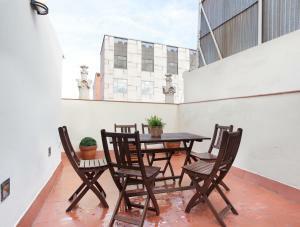 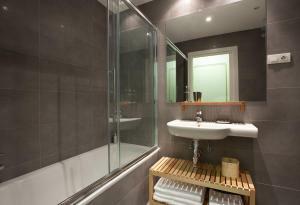 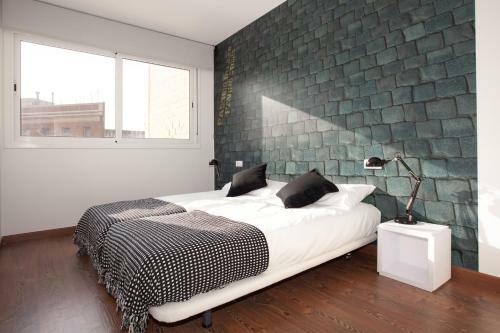 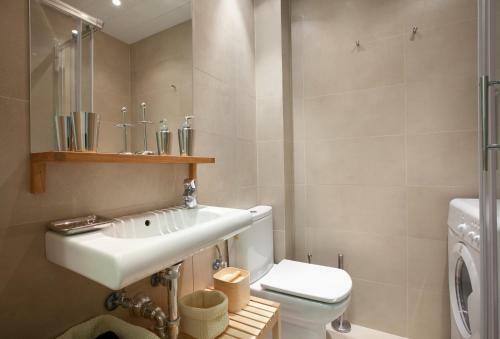 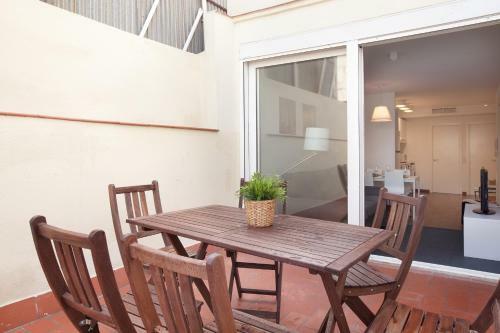 There is a furnished terrace and private bathroom with a hairdryer. The kitchenette includes a fridge, microwave and washing machine. 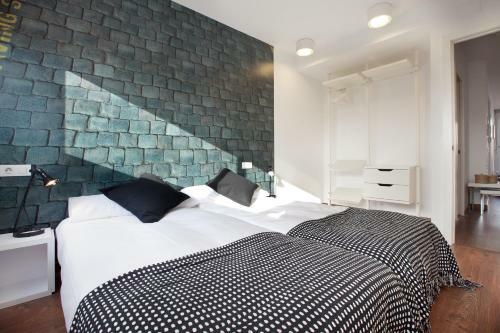 Rate: € 166.50; select dates below to get current rates.